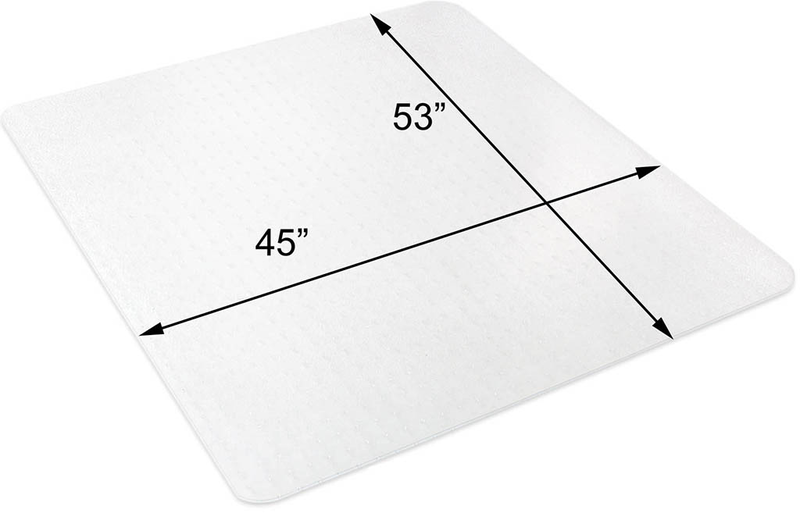 Polycarbonate Chairs Mats are some of the most durable chair mats you can buy! 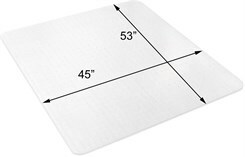 Unlike vinyl chair mats, polycarbonate mats are the most resistant to cracking and dimpling and are good for all carpets, thin pile or thick pile. Don't let the ultra-thin design fool you! 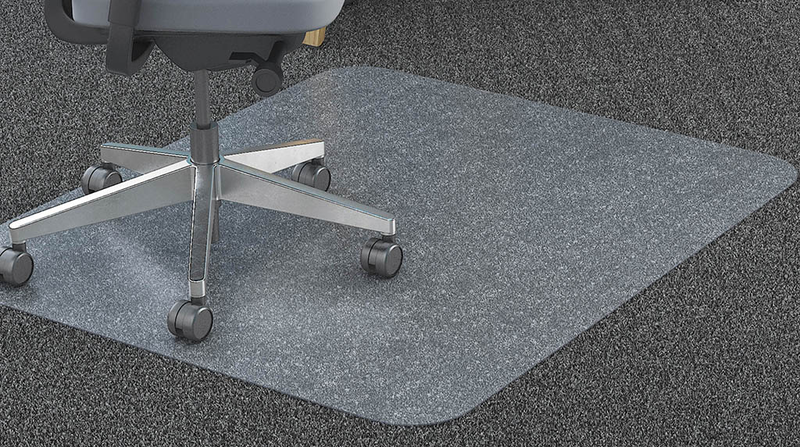 The rigid properties of polycarbonate allows these chair mats to remain thin and sleek, while still retaining an incredible amount of strength. 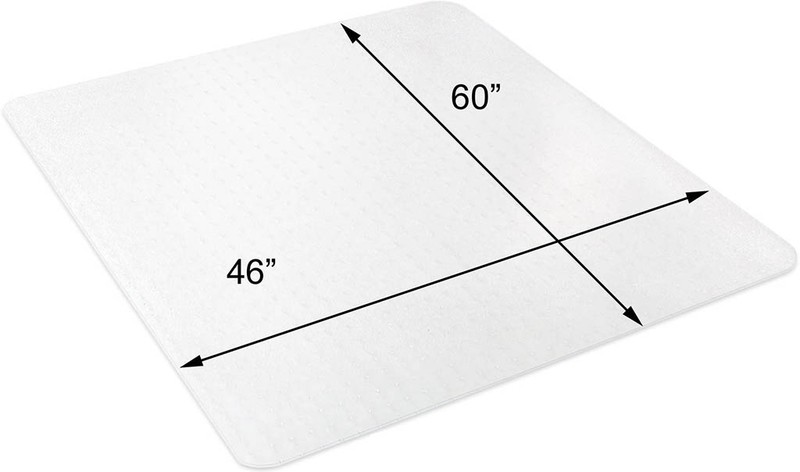 A chair mat you can depend on for years to come! 36" x 48" Polycarbonate Studded Rectangular Chair Mat sold above. See other sizes sold below. 36" x 48" Polycarbonate Studded Rectangular Chair Mat. Shpg. weight 8 lbs. Please allow 1-2 weeks for delivery. PRICE INCLUDES SHIPPING! 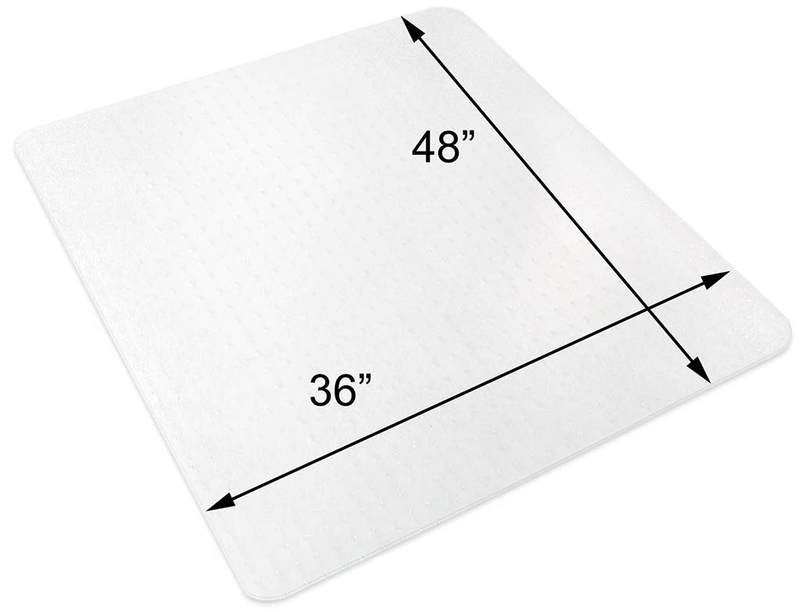 * Chair mats are 1/16" thick, not including studs. * Slightly textured surface to allow grip and control from office chair casters. * Rigid material prevents cracking, curling and dimpling! * Studded to firmly grip all piles of carpets, thin or thick. 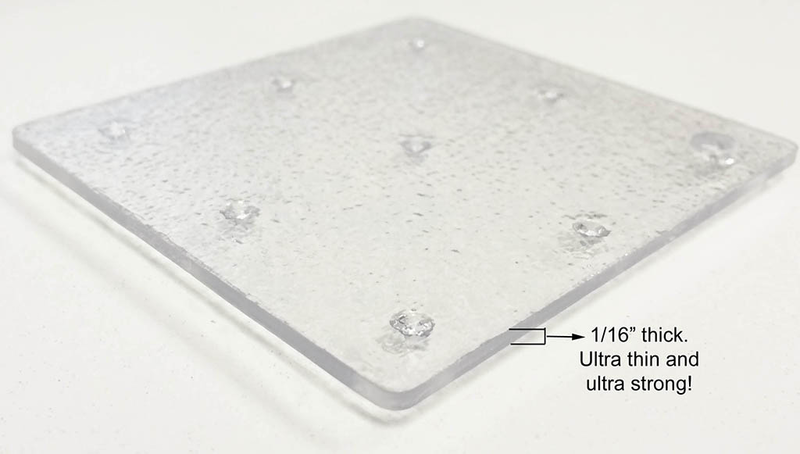 45" x 53" Polycarbonate Studded Rectangular Chair Mat. Good for all piles of carpets, thin or thick. Shpg. weight 11 lbs. PRICE INCLUDES SHIPPING! 1 - 5 $319.00 ea. 6 - 11 $309.00 ea. 46" x 60" Polycarbonate Studded Rectangular Chair Mat. Good for all piles of carpets, thin or thick. Shpg. weight 13 lbs. PRICE INCLUDES SHIPPING!